Clingy fat can’t fight the nutritious might of the right diet. Take these slimming solutions to your stomach – loosen fat’s grip and expose your better body! Many of us dedicate ourselves to a good training program. At the end of the day we are in better shape, but are unsatisfied when we look in the mirror. You can focus on building lean muscle with plenty of good exercise, but what is it that transforms our body into that toned and shaped mode? Just as you wouldn&apos;t put low-grade fuel in your new $50,000 sports car, putting anything less than premium food in your body is likely to keep it from performing to the best of its ability. Many people think they are on a good diet, but myriad mobs of almost-inescapable processed foods that fill grocery stores encourage the retention of our fat. Processed food places excess stress on the body. They make it hard to burn off that last (and most important) layer of flab. So if you&apos;re frustrated by being unable to shake that last layer, then let&apos;s get down to the nitty-gritty and eat a deflated diet to burst that fat balloon and produce a slim and healthy body. Fresh fish are your friends in the flab battle. Your preferred fish choices should be ones with low mercury levels: flounder, haddock, herring, mackerel, perch, pollock, salmon, sardines, scallops, shrimp, sole, tilapia and trout. Mercury consumption causes negative health side effects. Out of that list: salmon, mackerel, and trout are your top 3 choices because of their high omega-3 content. If you can&apos;t consume fish on a regular basis, find a quality fish oil supplement. It&apos;s a smart move! Another great way to boost your defence against stubborn fat is by having tea on a regular basis, especially green tea. Tea is a healthier option than coffee, and having some green tea is a great way to kick-start your metabolism. Have a cup or two each day, and you&apos;ll be well on your way to trim and tone ... Green tea also provides you with numerous antioxidant benefits, which can help to fight free-radical damage. Fat consumption can be good and bad for you, depending on the type of fat you consume. If you overload on saturated or trans fats, then extra fat and other negative side effects might be in your near future. On the flipside, filling your diet full of unsaturated fats and omega-3 fatty acids is the perfect way to keep fat in check. Just remember, it&apos;s important to get a good ratio of omega-3 fats and omega-6 fats. Ideally, your ratio of omega-6 to omega-3 fatty acid should be 4:1, a far cry from the 15:1 ratio most people currently get (balance is a wonderful thing). Foods richest in omega-3 fatty acids include: flaxseed oil, soybean oil, canola oil, salmon, mackerel, trout, herring, sardines, albacore tuna and walnuts. Combine these with the right amount of omega-6 fats you can get from corn oil, safflower oil, sunflower oil and cottonseed oil to get the best results. Other healthy sources of dietary fats to keep an eye out for: avocados, natural nuts and nut butters and seeds. Yes, limiting your carbohydrate intake is important to shave off that last fatty layer, but you don&apos;t have to take an ultra-low approach - just place more emphasis on getting plenty of protein and foods rich in healthy fats. Garlic is to vampires, as processed carbohydrates are to your diet. The carbs you do eat should come from fresh fruits and vegetables. Fruits and veggies should account for at least 60 percent of your total carbohydrate calorie intake. The remainder comes from all-natural and slow-digesting sources like beans, legumes, oats, brown rice and quinoa. 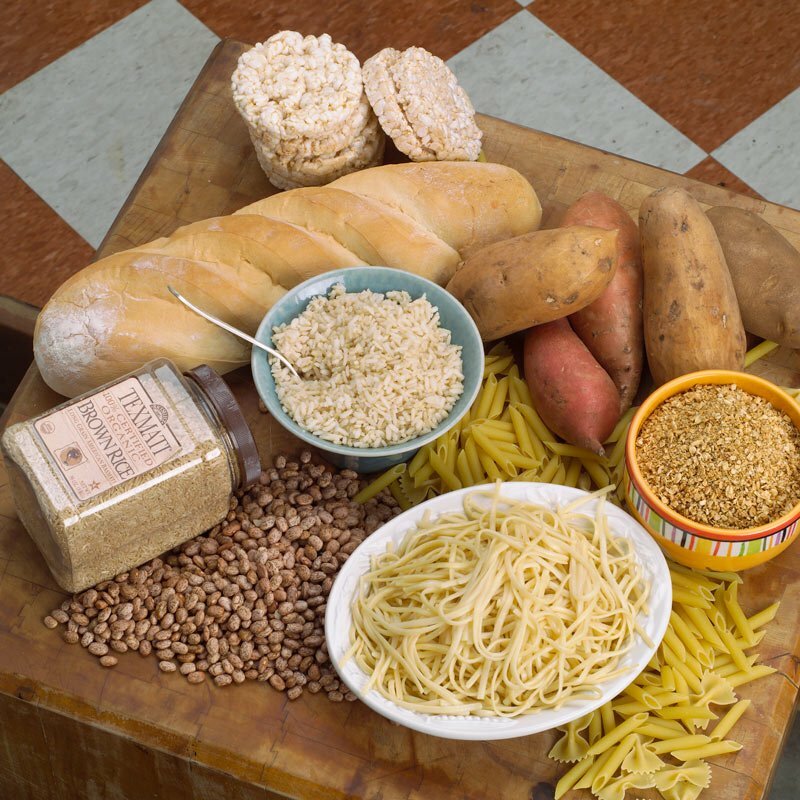 All processed carbohydrates (even if they say whole grain) should be avoided. The right herbs and spices can do wonders to your diet. These flavor savers encourage a lean and toned body. Herb perks and spice niceties can save plain meals by keeping flavors interesting, dynamic. Ginger and ginseng are two herbs that have long lists of health benefits, and plenty of taste to turn a bland meal into a flavor fiesta in the blink of an eye. There is a world of spices to explore, so start adding some healthy pep to your diet!